Here's another thing Ed built and designed- the EZ Haula 2000. 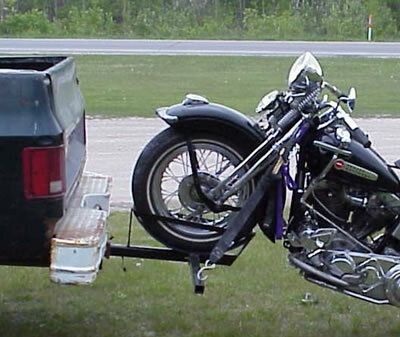 The EZ Haula 2000 easily hooks up to your hitch to haul your bike safely from point A to point B. The EZ Haula 2000 is a simple and easy apparatus that can be connected to your vehicle in a snap. 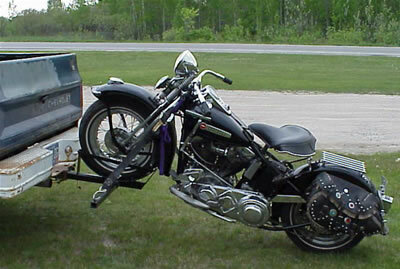 With the EQ Haula 2000, you can avoid having to buy an expensive trailer just to move your bike. If you are interested in purchasing the EZ Haula 2000 or would like more information, contact Ed.